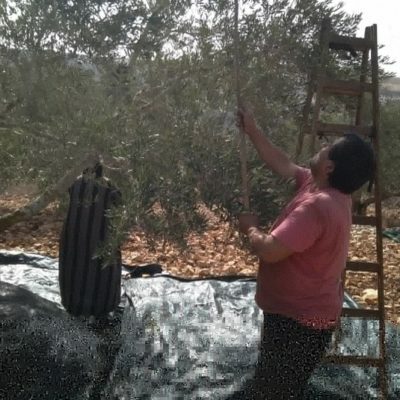 ISM volunteers spent the day harvesting olives with farmers in Bruqin village, a day that began with Israeli soldiers confronting the farmer and his family and ordering them to leave their land no later than 5 p.m. Since the harvest workday typically concludes around 4 p.m., this did not prove an obstacle for the harvesters. But it was a potent reminder that the residents of Bruqin, a primarily agrarian village located in the fertile Salfit governorate area, continue to lose control over and access to their land due to ongoing Israeli military occupation. 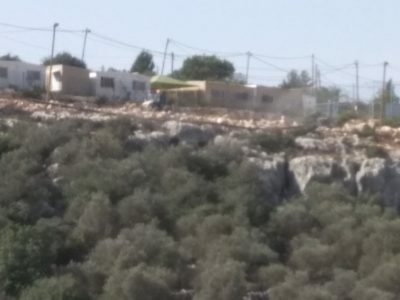 In the last few decades, Israel has expropriated hundreds of dunams of land from Bruqin in order to build Israeli settlements, settlement “outposts,” military checkpoints, and Israeli-only settler by-pass roads. Bruqin village has existed since Roman times. Yet Israel’s historically recent military occupation is swiftly eroding this village’s existence. 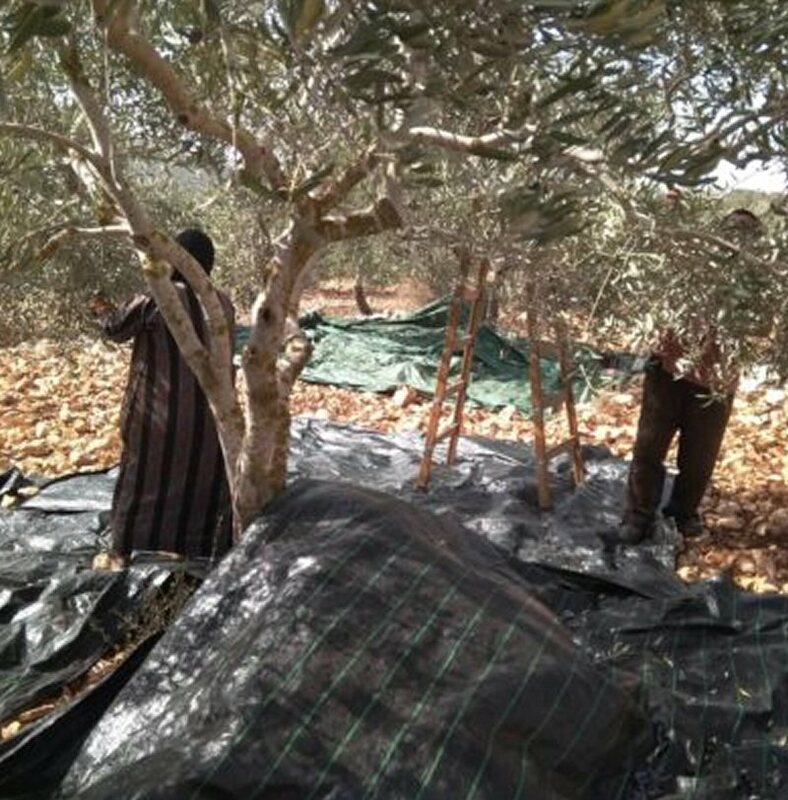 Despite the vastness of the olive groves in which they were working, the buildings and vast structures of the hilltop settlements of Bruchin and Barkan Industrial Zone proved impossible for volunteers to overlook. These settlements are connected by settlement highway roads 5 and 446, which were both audible and visible from the land where volunteers were working. The sound of cars zooming by on the settler roads was ever-present. 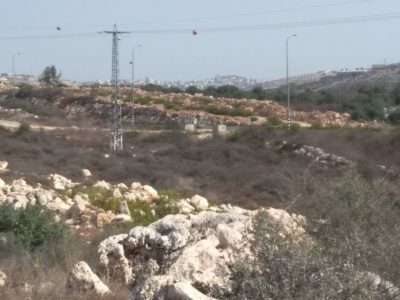 Since its creation, Barkan Industrial Zone has pumped its wastewater into Bruqin’s agricultural land, causing pollution and the spread of disease in both humans and animals. 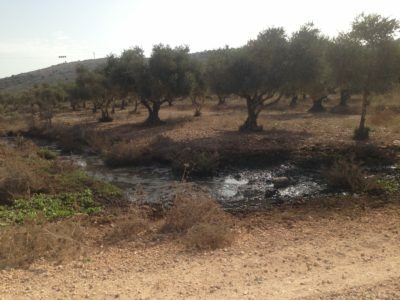 As volunteers walked through the groves of olive trees, the stench of human waste was palpable, even in the middle of wide-open farmland. 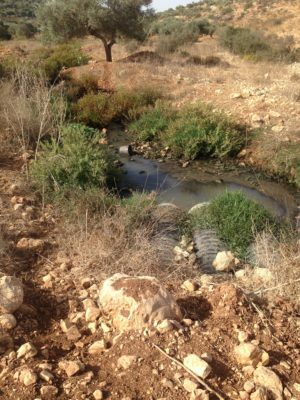 This “policy” is a continuation of past practice when Ariel, another nearby settlement, began channeling its sewage into the northeast side of the village more than twenty years ago.